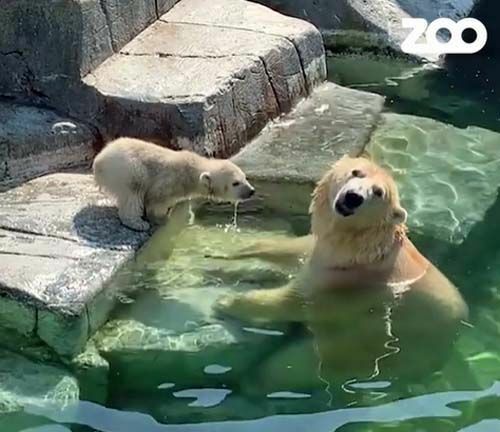 Now that there’s water in the pool Lynn and her daughter have a possibility for daily swimming tours. However, this day the baby girl hesitated and didn’t jump in. Come with mama – don’t be afraid! My daughter is still very small so she needs some time to get used to the wet element. 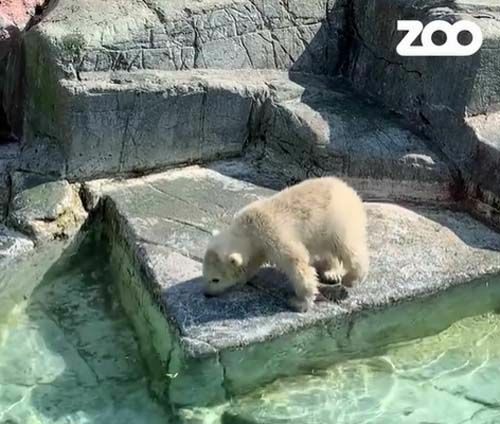 Although the cubbie has already had her first swimming lesson she doesn’t seem to be so fond of the water yet. Es können ja nicht alle kleinen Bärchen solche Wasserratten wie Hertha sein, aber die Kleine Maus wird schon noch draufkommen, wieviel Spass das Schwimmen macht. Lynn wird es dem Töchterchen schon beibringen, sie ist ja eine tolle Mama. It is obvious Lynn´s little girl needs some time to overcome the fear of water. Lynn´s little daughter should have all the time in the world but I´m optimistic she will find out soon that water is her element. 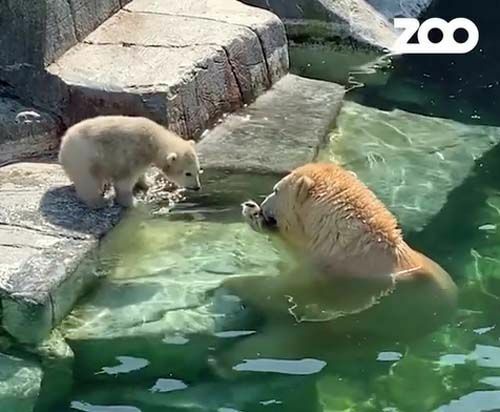 For sure Lynn as a good and caring mother will teach her how to swim and what fun it is. 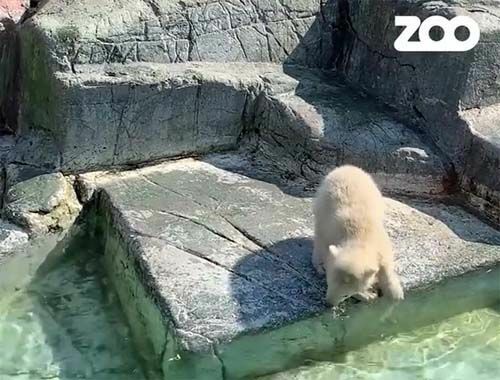 I remember other Polar Bear cubs being reluctant swimmers. 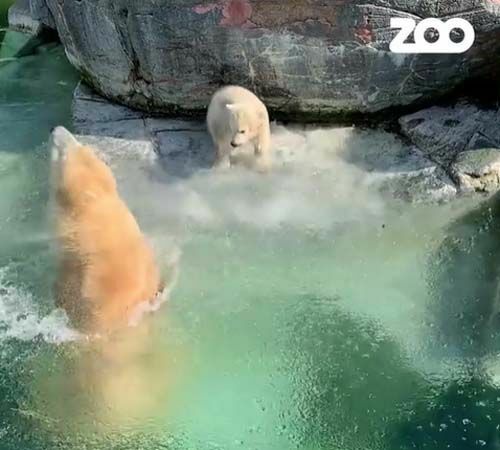 Lynn’s cub has only just been introduced to the big water outside (I am not sure whether she had access to water inside the den). Of course cubs are very fragile and we can only hope for the best. 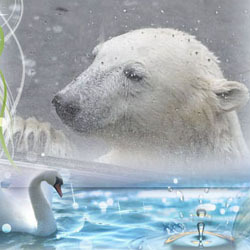 ist schon alles so viel Neues für ein Eisbärchen, leider weiss sie nicht dass sie schon perfekt schwimmen kann. Das wird schon und dann wird auch dieses Kind zur Wasserratte. Log in | 56 queries. 0.831 seconds.